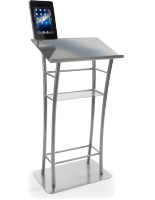 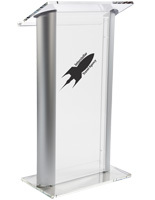 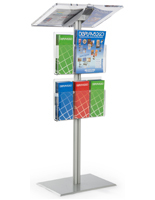 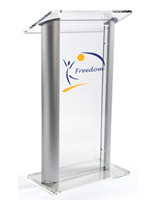 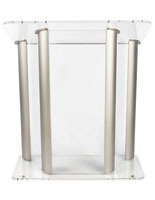 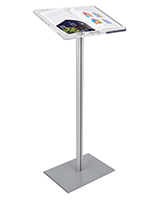 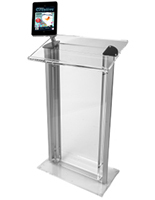 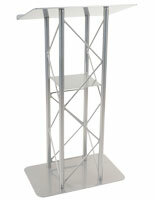 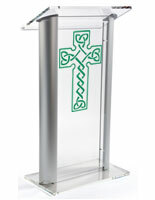 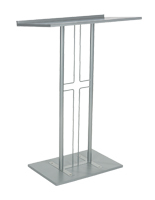 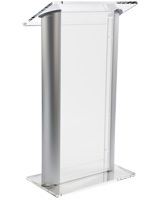 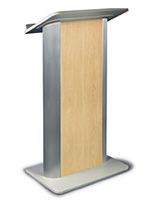 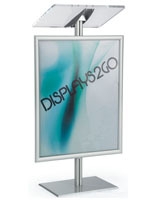 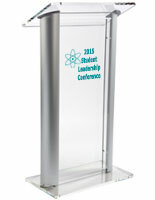 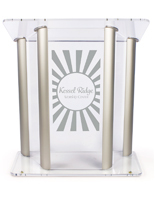 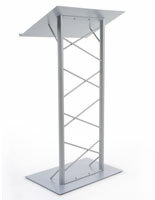 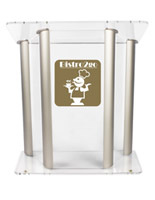 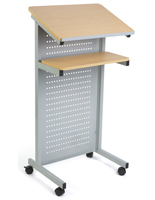 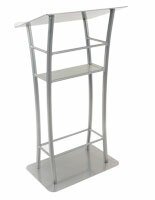 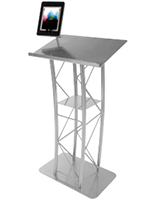 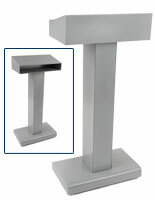 Our silver lectern podiums offer clean lines with a more modern sensibility. 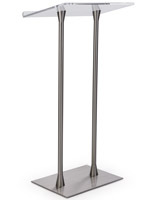 Unlike traditional wooden styles, these models provide a feeling of lightness thanks to their minimalist design and bright finishes. 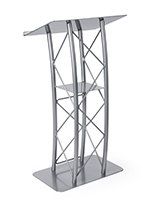 Extruded aluminum with anodized silver finish is the predominant material and is used as the vertical uprights in podium construction. 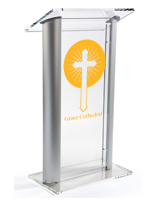 However we do stock some styles made from steel, such as our trademark "truss" lecterns, and these models feature long-lasting powder-coated finishes. 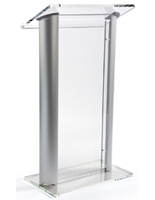 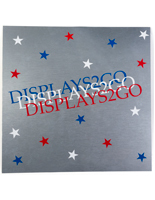 One of the recurring themes in metal podium design is its transparentness. 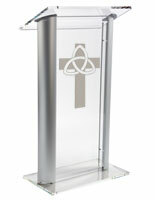 Most of these lecterns are either completely see-through or feature frosted acrylic panels. 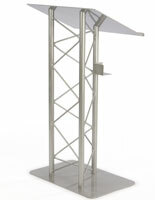 The extruded aluminum styles feature two or four vertical supports depending on the size of the reading area. 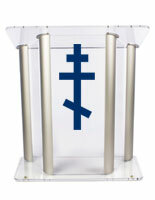 Acrylic panels are installed between these posts which in turn attach to the top and bottom plates. 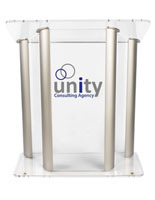 The satin silver aluminum paired with acrylic provides an unbeatable combination that simply looks fabulous. 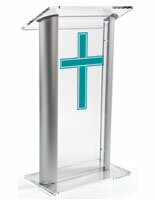 Suitable for religious or secular applications, metal podiums are the best choice for contemporary interiors. 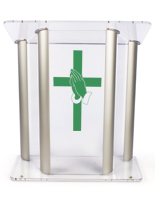 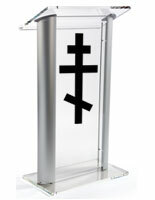 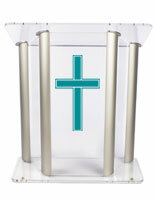 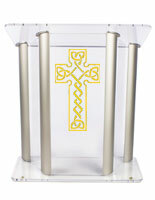 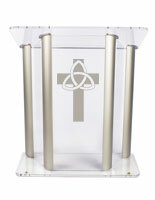 Looking to customize your lectern with a business logo or church graphic? 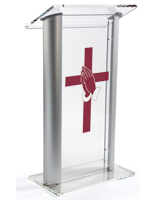 Choose from a selection of stock christian or orthodox crosses, or opt for a custom logo that we can apply onto the front panels for an additional charge. 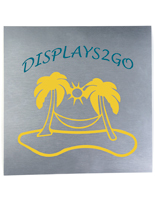 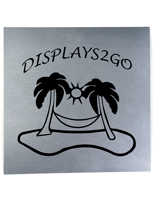 Simple vector logos with one or two colors are fabricated with computer-cut sign vinyl, while more complex imagery, including PMS colors, fine lines, or gradients are applied permanently to the surface using UV flatbed printing technology.